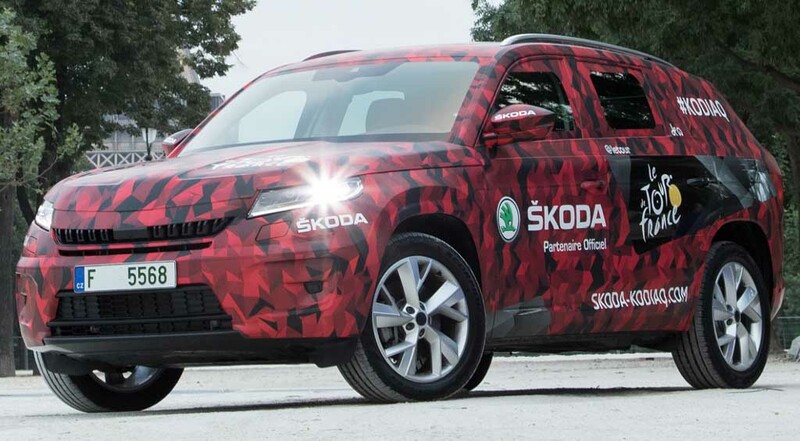 Skoda Kodiaq is the first three row seater SUV from the Czech auto manufacturer. The car was first showcased as the Skoda Vision S at the Geneva Motor Show. It also paves the new design language for the company’s future SUVs and crossovers. 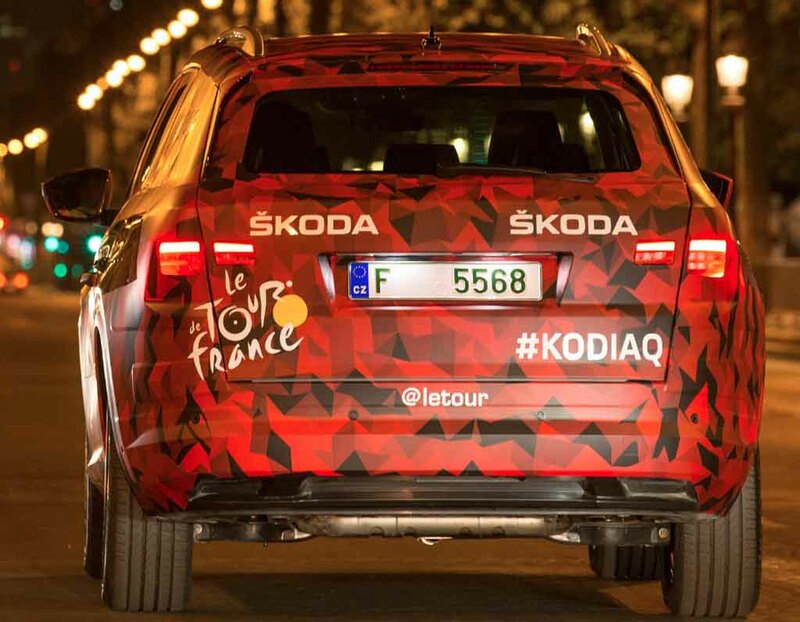 Reports suggest that the Kodiaq is expected to make its global debut on 1st September in Berlin. And it will make its public debut at the 2016 Paris Motor Show in October. 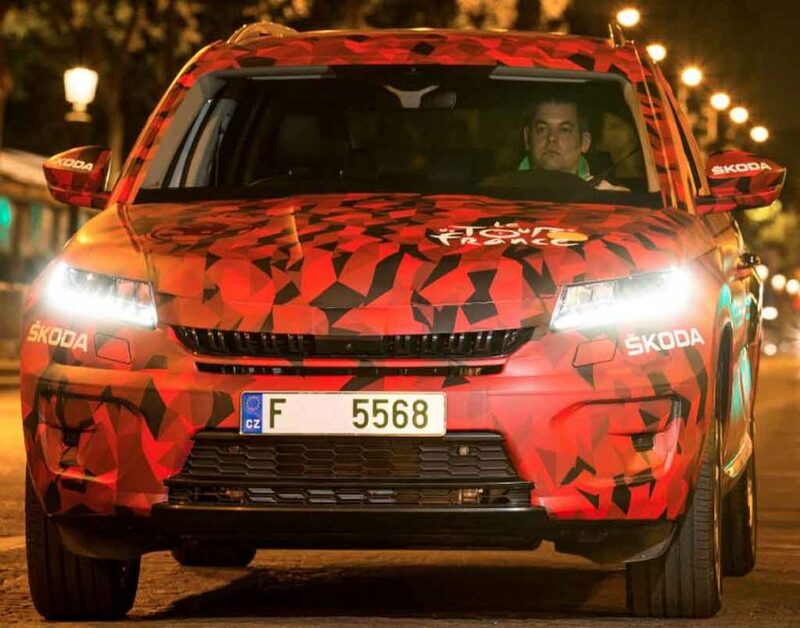 Also Skoda has teased few images of the upcoming car. Once launched, the car is going to be the flagship car from the automaker. It is based on Volkswagen MQB platform, and the design language is inspired by the Bohemian glass crystal. As the Skoda Vision S concept has been previewed, and later the car has been teased, expect Kodiaq to be muscular looking. The front fascia looks sharp with the sharp and sleek headlamp clusters with LED daytime running lights. The radiator grille looks very aggressive with the chrome garnished vertical slats. The front bumper also looks massive with wide and large air intake, larger air dams at both sides. The side profile boasts sharp character lines, thick cladding, and sporty roof rails. Inside the cabin the Kodiaq sports plenty of premium features. Up front the car gets multifunction steering wheel, sleek instrument cluster, a large touchscreen infotainment system at the centre console. The car offers individual touchscreen infotainment system for every occupant inside. In terms of space inside the car gets plenty of leg room and head room for the middle row and rear occupants. On the powertrain front, the car gets three petrol engine options and two diesel engine options as power source. The TSI petrol engines are capable to churn out peak power output between 125 PS to 180 PS. The TDI diesel engines are capable to kick out peak power output between 150 PS to 190 PS. A 6 speed manual gearbox and a DSG automatic gearbox are available as the transmission options.